 Clusius Craft distillers has developed a unique production and distilling process (patent pending) that produces a premium vodka just from Dutch tulip bulbs. In our own distillery located in the heart of the Dutch tulip fields, we work with passion, traditional craftsmanship and the latest techniques to distil our Dutch Tulip Vodka. The tulips are grown on the low-lying sandy clay soil behind the Dutch coastal dunes. We use 100% Dutch tulip bulbs, cooked and fermented in a manual process. After making the alcohol, Dutch Tulip Vodka is made with water purified by a natural sand filter: the Dutch sand dunes. Water that is known worldwide for its purity, quality, and crystal-clear taste. A perfect match for a premium Vodka. The result is a pristine and smooth vodka with a delightfully complex mixture of taste, flavours and aromas.